Delivers all the benefits and convenience of a one-per-day multivitamin in an easy-to-swallow capsule, without any of the problems, additives, or impurities typical of all the leading brands. 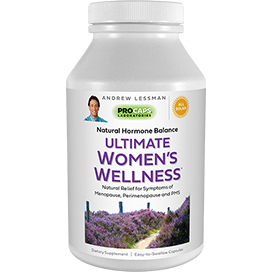 Andrew Lessman's ESSENTIAL ONE is an alternative to the low potency, artificial colors, additives and digestive problems experienced with typical store-bought daily multivitamins. Of course, no single capsule can offer all the potency required by the science; however, no formula delivers more than ESSENTIAL ONE while also remaining 100% pure, easy-to-swallow and gentle to even sensitive stomachs. ESSENTIAL ONE delivers 2,000 IU of all-important Vitamin D3 for those seeking higher levels of this key nutrient. It also provides far higher levels of key nutrients than the leading formulas, such as high potencies of all the B-Complex vitamins, including 250 mcg of our unique absorption-protected Methylcobalamin (Natural Coenzyme Vitamin B12) and 500 mcg of Biotin, along with 1,000 mcg of both Lutein and Lycopene; plus, 500 mcg of costly Zeaxanthin and 30 mg of the most protective form of Vitamin E - Gamma Tocopherol. These nutrients are not present in most multivitamins at any price. ESSENTIAL ONE offers all the convenience of a one-per-day multivitamin, but with greater purity, higher potency and a superior complement of more than two dozen nutrients. Best of all, ESSENTIAL ONE comes in a small, soft, easy-to-swallow capsule that ensures easy absorption without stomach upset. Consume one capsule daily with food - preferably a complete meal. ESSENTIAL ONE is designed for those who seek a pure and mild, yet high potency, single capsule daily multi-vitamin-mineral that also supplies higher levels of Vitamin D3. This product is most effective as part of a healthy diet and active lifestyle. I wanted to take vitamins but i did not want to swallow 15 different pills. This product provides all the vitamins I need plus added benefits. And, the pill is not gigantic! I feel much better after taking these. Thanks, Andrew, for making it easy for me to do something good for my health by simply taking your multi-vitamin. SO GLAD HE ADDED COQ10 & 2000 OF VIT D ALONG WITH B12. I NO LONGER HAVE TO BUY THEM & CALCIUM MAGNESIUM SEPARATELY. RESULTS IN A GREAT SAVINGS. OF COURSE THE PRICING DEALS & FREE SHIPPING ARE UNEQUALED. NO REPEATING OR STOMACH ACHE. I'M 74 & SOMETIMES I HAVE TROUBLE SWALLOWING THIS LARGER PILL. I CALLED CUST SVC TO LET THEM KNOW. BUT IF I HAVE TO CHOKE DOWN (SOMETIMES) A LARGER PILL TO GET ALL THE BENEFITS I'M HAPPY TO DO SO. WOULD RATHER HAVE ALL THE INGREDIENTS IN THIS THAN NOT. THANX AGAIN ANDREW. YOUR CUSTOMER SVC IS SECOND TO NONE! Both myself & husband experience Phenomenal results providing many healthy results throughout our bodies. Overall provides vibrant energy and resistance to sickness. It's amazing how wonderful we feel. The name "Essential" perfectly describes as the most essential product to use. We use other Pro Caps supplements, and find the quality to be extraordinary. 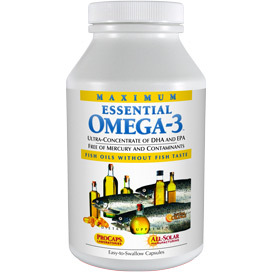 Our Doctor recommended a Quality Multi Vitamin, CoQ10, Fish Oil Omega 3 and was elated we were already using them via Dr. Lessman. There are No Bad After Taste and No Upset Stomach. 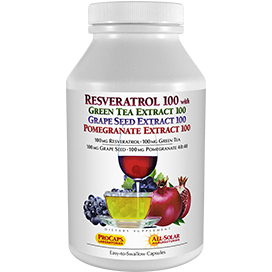 My mother encouraged me to take this product because I was in need of energy and nutrients, due to an ongoing issue with anemia. So I started taking it along with an iron supplement. She told me to give it a chance to get in my system, after almost a month, I could tell the difference. I was so drained when I first started this vitamin, and couldn't get out of bed most days. Now I buy nothing less than the year supply! Let's just say I am convinced that this product works, and I just ordered the Essential-1 with 3000 IU vitamin D3. I usually don't write reviews but wanted to share how pleased I am with this product, So I will probably post a review of the one I just ordered. I've been using these vitamins for years. My diet wasn't good enough so I needed a supplement. The way Andrew develops his products in a small footprint facility with few additives convenience me to select this brand. I'm turning 70 which isn't a big deal but medically speaking I'm good shape. My doctors and blood work have confirmed that. Those folks who do not recommend this produce never seen to tell us what they like better. I'd like to know so I can compare. I am aware GNC has mega vitamin supplements. Mega is more than needed. Getting a the right balance is my goal for my supplement. This is a great all around vitamin. You can get the basics that you need at a price that you can afford. Now that it comes with 3000 IU option it makes it even more healthy for you. Thank you Andrew! I usually do not write reviews but I have to let the world know that I am so impressed with these Vitamins (Essential 1) I have always tried to take vitamins, but they would make me eat like a pig and I would stop taking them. I watched Dr. Lessman's show on HSN and he convinced me to try his vitamins. Let me tell you, everything that he states they do, they do. I have more energy than I have ever had. I usually feel very tired after I get off work (military) that when I sit down I would pass out and not to mention how sluggish I would feel during the day. I also had trouble sleeping at night and my legs would hurt so bad. When I awake in the morning I would have to sit up in the bed for a few minutes then ease off the bed and stand there for a few minutes before I could walk to the bathroom and I was walking as if I was 90 years old. I started vitamins and noticed a drastic change. I could get right up,my legs did not bother me and I had more energy than I have ever had. I was a little skeptical so I stopped taking them for a few about a week and I noticed I started to feel sluggish again, so I am convinced that the vitamins are my wonder pills. I ordered some more and told my mom and my sister about them and now I have to order some for them. I just pray that these vitamins stay on the market. I also ordered a few more of his vitamins because I love his products. I'm letting everyone of my family members and friends know that they need to order these and stop paying out money for those department store vitamins that do not work. Thanks!!! I have tried many vitamin supplement over the years and this is by far the best that I have tried . I recommended this to several others and they really like it also . If skeptical try a 30 day supply first what do you have to loose . TO ALL THE OTHER VITAMIN/SUPPLEMENT COMPANIES OUT THERE--JUST GIVE UP. ANDREW LESSMAN WILL ALWAYS PUT YOU IN YOUR PLACE. 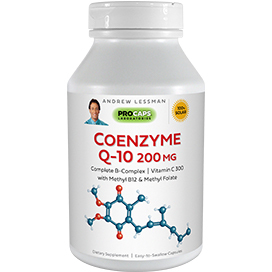 ANDREW--WOULD YOU CONSIDER ADDING COENZYME Q-10 TO THIS PRODUCT? I was taking another name brand vitamin, but with this one there's a great difference in the way I feel. I too have hypothyroidism, and most of the time my energy was shot. After getting these into my system, the difference is as night and day. Now, if you can come up with a supplement to rebuild and support the thyroid, that would be great. Then I and others like me can get off the medications for the thyroid. Your work is so phenomenal, please help us. I have hypothyroidism, and sometimes I have no energy at all. 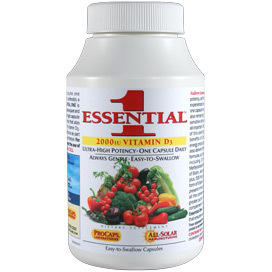 I have other over-the-counter vitamins, but none of them has done for me what the Essential 1 has. They have brought on the energy, and I can tell when I'm out of them; everything goes back to non-existent. Thank-you Andrew for all you do for us. Excellent product. This is truly a powered packed, 1 capsule multiple vitamin. My stamina and energy levels have increased. I plan on purchasing again. Made in the USA is the icing on the cake - Thank you! I have tried many, many multi-vitamins over the years, but this product by far is the best. The pills are easy to swallow and do not have an aftertaste. I take these with the Omega-3 product (awesome product as well) and have found that my hair is shinier and my nails are stronger than they have ever been. I am so happy I stumbled across ProCaps late one night on TV. I will never buy another drugstore brand again. Thank you ProCaps! I can feel such a difference for just starting to take any of Andrew Lessman products. I have more energy and just feel great. Thank you. Placing my next order now. I love these daily vitamins. I love that you only need 1 a day. I take it with my breakfast every day. I notice when I don't take them, as my energy level is not as good. I also like the amount of vitamin D, so I don't have to take another supplement. The only other vitamin I have to take is calcium, so it's so easy now. I'm not fiddling with a bunch of bottles and pills. And I love that they are a quality product made with solar energy. I also take Andrew's Night time capsules - they are a lifesaver - or should I say sleep saver! I ordered this through HSN and found this to be a wonderful vitamin! My husband and I had been taking the original Complete vitamins. We found that we like taking one pill instead of several easier and the bottle size is smaller and more convenient to store than the large canisters. I also bought a bottle for my daughter who went to college this year! Great product!! THE BEST ONE A DAY MULTIVITAMIN ON MARKET! I have a change of opinion on this Multi after finding out my vitamin D Level was more on the low side then high side. Andrew, I am soooo glad you incorporated 1,000IU of vitamin D in your One A Day Multivitamin. I switch off and on with your Women's Life Rx Complete Multivitamin which is also my favorite Multi. and in time I will most likely be taking your Life Rx Complete Multivitamin all the time. Thank you for being so educational on all your products. You're the best!! Love the price. Ordered on Friday, received on Monday. FANTASTIC! Excellent product does not cause stomach problems like other vitamins I've tried, please continue to make Essential One, showed it to my Doctor he was so impressed that he orders it now. I only wish there were higher amounts of vitamins in the 1 a day multivitamin, that's about it, other then that this is the nearly perfect product because you do not have to take a whole lot of pills and all. So yeah that is my only complaint is that there isn't a higher amount of vitamins, I guess I could always upgrade down the line but for right now I am happy with taking just one pill and being done with that. I enjoy taking this product everyday. I just wish that it came in a bigger size. My teenagers would never take a multi because they typically hurt their stomachs. This is the first multi we have tried that has no sick side effect plus it's incredibly easy to swallow. I really like this pill's powered form, most multi's are solid which I think is the cause of that sick feeling you get after taking. Great product! Thanks for the One-A-Day Vitamin! 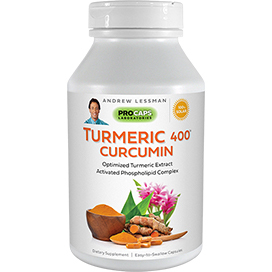 I currently use several of Andrews Lessman's supplements and love them all. I used to purchase the Essential Multivitamin for Women (5 caps packets). Because I've had to cut my spending in half lately, I had to stop purchasing it. I am so glad Andrew decided to do the 1 Essential One daily vitamin. Although it doesn't have the nutrient levels he always recommends, it's still a convenient and affordable nutritious vitamin. I feel great when I take them. I love the fact that this has 1000 IU of vitamin D, it has really improved my mood and has made me feel so much better since I started taking it a few months ago. I love being able to take just one capsule, it fits my needs perfectly since I take several of Andrew's other products that also have nutrients in them. The BEST one-per-day multi EVER!! I have tried every multivitamin known to man. I came to the conclusion that I couldn't afford the good ones, and couldn't tolerate the cheap ones. This Essential One is the most remarkable product I've ever taken. It is one small capsule per day, it's very affordable and best of all, I really feel the difference! I feel good all day, and sleep great at night. It's like my body is back on track and feeling the way it is supposed to. Thank you Andrew...I know you say you offer this product reluctantly, but I believe that for many it is the only hope we have in taking a multivitamin every day which research shows can really be beneficial to your health. My husband and I having been using this for several months now, and we really see a difference in the way we feel. We have more energy and we only need to take one pill! Very happy to see this vitamin offered. Would like to see more calcium in it, but my ob/gyn told me split the calcium up anyhow to take 1/2 dose both morning & night. So I guess this all works out for the best. I am so glad Andrew introduced a "lower" high potency vitamin! I take so many of Andrew's products (10-15!) that I didn't need a super-high potency vitamin - just something that can help fill in any missing areas. This is perfect for that. Provides what I need without adding too much because of all the other supplements I take. Thanks for creating this, Andrew! Andrew, I just want to say, you are an awesome person to have come up with such an excellent product. I have been searching for a multivitamin for years that would agree with my body system. All the "name brands" over the counter in the drug stores just did not work for me. I would always get really, really bad stomach aches and constipation from using them, but after watching you on HSN one evening, I decided to order these just to see how they would react to my system and I must say, these are the BEST multivitamins ever and I will continue to use them for life. Thank you very much. I love Essential One. I take it with Andrew's Five Favorites which supply a lot of Vitamin C and B-Complex. Essential One is a great product because you only have to take one capsule. I take a few of Andrew's products, all the products are great, thank you Andrew for the great products, I like the fact you use solar energy, keep up the good work and I hope you will make Essential One forever, thanks again. This product was long overdue. I take many of Andrews products and was getting amounts of many vitamins that were too high especially vitamin C. I'm now able to receive the amounts my doctor recommends. Thanks Andrew. I do really like this product, and feel the difference when I do not take it regularly. One concern, I recently have read that folic acid is the synthetic form and can actually be found in your blood stream as folic acid rather than as folate, the natural form. My understanding is folic acid must be processed by the liver into folate. I think I would prefer it not be in the formula, or be replaced with the natural folate. 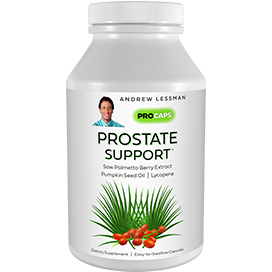 I love Andrew Lessman's products, but wish they would go totally synthetic free and processing agent free. I started taking this vitamin supplement recently and really like the benefits I get from taking one capsule. However, while this is a great product, I wish Andrew would make an alternative one a day that does not contain niacin. I take many of his products by themselves and many of them already contain 5mgs. of niacin. I want to have the benefits of a multi vitamin, but I do not need anymore niacin. Andrew, would you please consider eliminating the niacin or creating another one a day without it? Thanks and keep up the terrific work! Your vitamins are the BEST!! I think your Essential 1 multivitamin is great but I wish you would have made the Vitamin D3 lower potency. I know there has been a lot talk in the news about need of more Vitamin D but I remember they talked about the importance of more Vitamin A Beta Carotene and everyone started putting 10,000IU of Beta Carotene and now they changed their minds and cut it back to 2500 to 5,000IU. Now everyone is putting a 1000IU of Vitamin D in their multivitamins. I wish you would have offered a multivitamin with 400IU of Vitamin D and then we can get the rest of our vitamin through our calcium supplements but the way it is now we don't have choice but take more Vitamin D. I hope you can make a multivitamin with lower Vitamin D in the near future. This is a great option for a multivitamin. I just wish it offered a version with Iron. I don't like having to take an additional pill for iron and I require iron since I am anemic. I'm glad Andrew made this, because I can't imagine taking like 5 capsules a day for a multivitamin when I'm already taking 2 of his other products (which is 5 capsules). I just wonder why everything except Calcium and Magnesium are the only ingredients that don't have 100% or more of the daily value. Calcium is only 10% and Magnesium is only 25%. Still, I feel better during the day now, being able to do more things, generally happier, and I think it's been helping my allergies. I am new to this line of vitamins and I am not very impressed with anything I have gotten, nor with the very short satisfaction guarantee. One month is not sufficient time to assess the effectiveness of a supplement. I took my supplements to my natural doctor and he eliminated three of the five I have. But I have only stopped this one, namely, because it appears that my body really does not want it because I have nausea when I take it in the morning with my breakfast. I don't know about other people but this powder type made me very dry. My mouth felt like it needed mega water and I felt tired - didn't give me the energy on the first day that people had talked about.